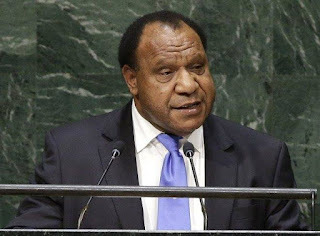 The Papua New Guinea Department of Foreign Affairs has found some anomalies with the financial records at PNG's Mission in Manila, Philippines, as it begins recalling its heads of missions abroad. Foreign Affairs Minister Rimbink Pato, confirmed in a statement, that several heads of diplomatic missions overseas are being recalled as their posts and terms of appointment have expired. Heads of missions affected include Washington D.C, Manila, Jakarta and Sydney, with China and Honiara to be returned at a later date. Mr. Pato says the Department is in the process of recall and repatriation exercise for the returning heads of missions as well as preparing ground works for replacements who are to be appointed by the National Executive Council soon. He says as part of the recall, the financial records of the affected missions need to be checked and updated. In case of the PNG Mission in Manila, some anomalies were found. The Department is working with the officers at the mission to verify the financial records in a fair and transparent manner consistent with the Public Finance Management Act. Minister Pato hopes the change over arrangements will be orderly and business like and that all new appointees will take over from where their predecessors left off.